We hire staff with big hearts. They are locals—community members who are dedicated to serving seniors with joy, respect and compassion and with careful consideration for the unique individual needs of our residents. We celebrate that every resident has a treasured history to share. We believe that each resident deserves to maintain dignity by making choices for themselves. We are committed to assist each resident accordingly by offering appropriate options. We encourage residents to maintain self-reliance. We welcome and encourage community members to visit. 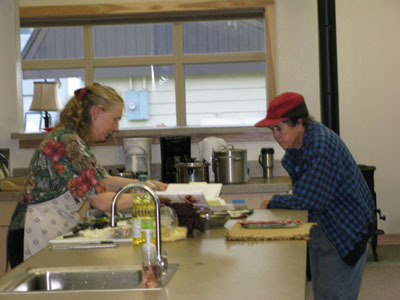 Haines is a small community so neighbors often stop by for an afternoon Scrabble game or a cup of tea at three. We have an open door policy for local clubs to meet and share their projects with our residents. We love to share our gourmet meals with guests.